Listen to a Spotify playlist of songs by all of the 2019 Moon River artists at spotify:user:barrycourter:playlist:6JSMie3ObvIi81Jb9dLSWa. 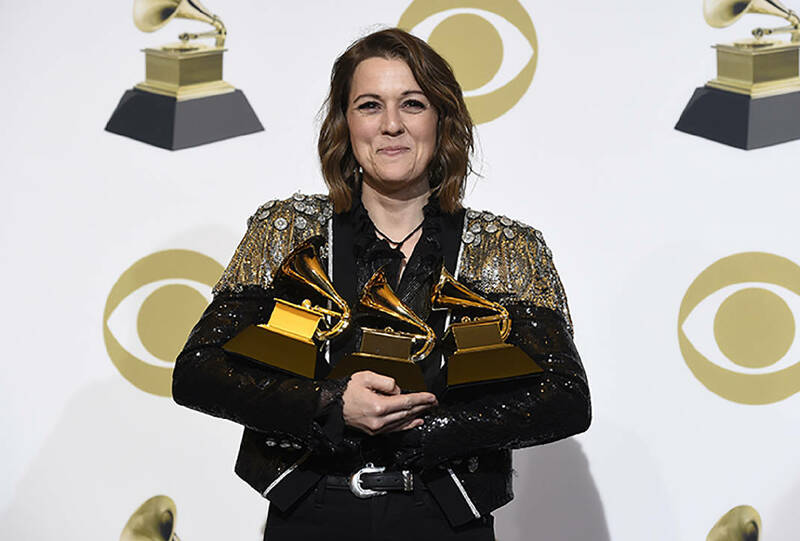 The Moon River Festival got a nice bump from Brandi Carlile's powerful performance of her Grammy-winning song "The Joke," at Sunday night's Grammy Awards show. Carlile is one of 24 acts that will perform Sept. 7-8 at Coolidge Park it was announced this morning. 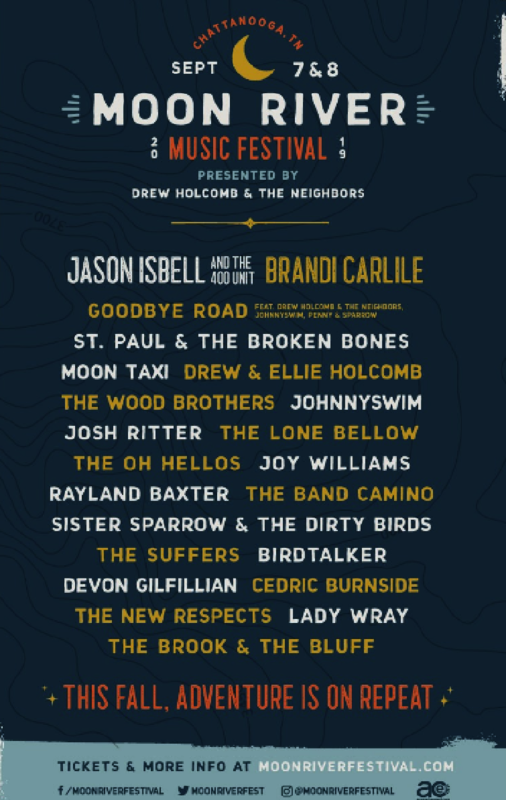 Also announced are fellow Grammy-winner Jason Isbell and the 400 Unit, Goodbye Road (Drew Holcomb & the Neighbors, JOHNNYSWIM, Penny & Sparrow), St. Paul & the Broken Bones, Moon Taxi, Drew & Ellie Holcomb, The Wood Brothers, JOHNNYSWIM, Josh Ritter, The Lone Bellow, The Oh Hellos, Joy Williams, Rayland Baxter, The Band Camino, Sister Sparrow & the Dirty Birds, The Suffers, Devon Gilfillian, Cedric Burnside, The New Respects, Birdtalker, Lady Wray, and The Brook & The Bluff. Carlile is one of 24 acts that will perform Sept. 7-8, 2019 at Moon River in Coolidge Park. Last year, Isbell won Grammy Awards for Best Americana Roots Song for "If We Were Vampires" and for Best Americana Album for "The Nashville Sound." Famed producer Dave Cobb produced that album and "The Joke." Carlile won for Best Americana Roots Performance ("The Joke"), Best Americana Roots Song ("The Joke") and Best Americana Album ("By the Way, I Forgive You.") It was her performance of "The Joke" that had people standing on their feet and blowing up social media Monday night. Previous festival-goers will have the chance to purchase specially priced tickets today from 10 a.m. until midnight, while supplies last. Tickets for the public will be $145 with VIP costing $400, and they will go on sale Wednesday at 10 a.m. and will be available at moonriverfestival.com. He said being able to step back and enjoy the festival as a fan was especially meaningful for him. "It was so amazing to part of, it was like a dream," he said. "I watched a lot of memories being made and music bringing people together."